This is an advanced level specialization certification to help certified personal trainers, strength coaches and other fitness professionals incorporate and instruct strength training into their field of expertise. Prerequisites: Must be 18 years or older with a valid photo ID and valid CPR card. Due to the advanced content of this course, a four-year degree in a health and fitness related field and/or a personal trainer certification is highly recommended. This is an advanced level course. 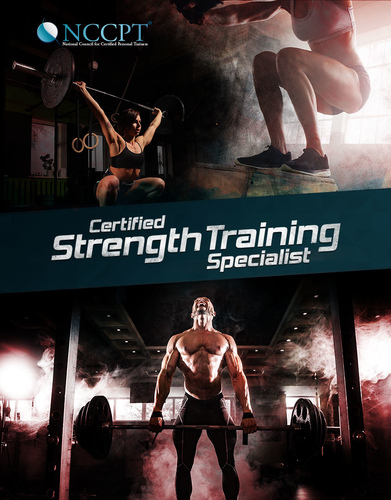 Purpose:The purpose of the Strength Training Specialist (CSTS) credential is to demonstrate that candidates have met established criteria for a Strength Training Specialist established by the NCCPT. Strength is the major component of all movements and the foundation of all fitness. All fitness goals, specifically sports or performance start with the person’s strength and their ability to apply it. 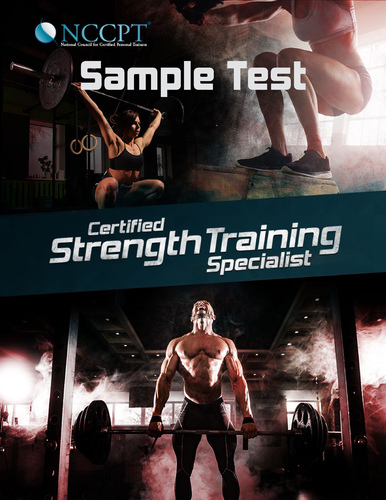 Tom DeLong, MA, RSCC*D, CSCS*D, is the Director of Science Education for the National Council for Certified Personal Trainers (NCCPT) and the United States Powerlifting Association (USPA). He is a 35+ year veteran of the Strength and Conditioning/Personal Training industry holding a Master's degree in Kinesiology from California State University of Long Beach (specializing in biomechanics of resistance training and program design) and a Bachelor's degree in Exercise Science and Wellness from Ball State University. His teaching experience includes UCLA Extension (11 years), California Lutheran University (7 years), Wexford University (2 years), CSULB (1 year), and currently holds a teaching position at the United States Sports Academy (USSA) teaching Sport Biomechanics in Thailand and Malaysia. He is also an adjunct professor at the Keilir Institute (Atlantic Center of Excellence) where he teaches Biomechanics and Assessment Protocols. Additionally he has competed in powerlifting since 1979 and has been a professional strength and conditioning coach at several universities.